Here is what I created! 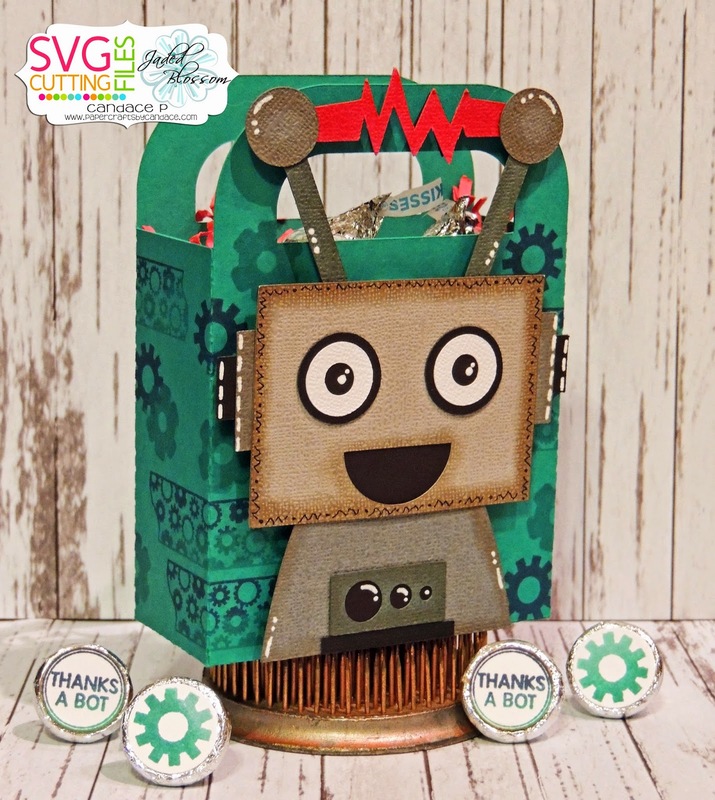 This is the new Robot Handle bag from SVG Cutting Files. 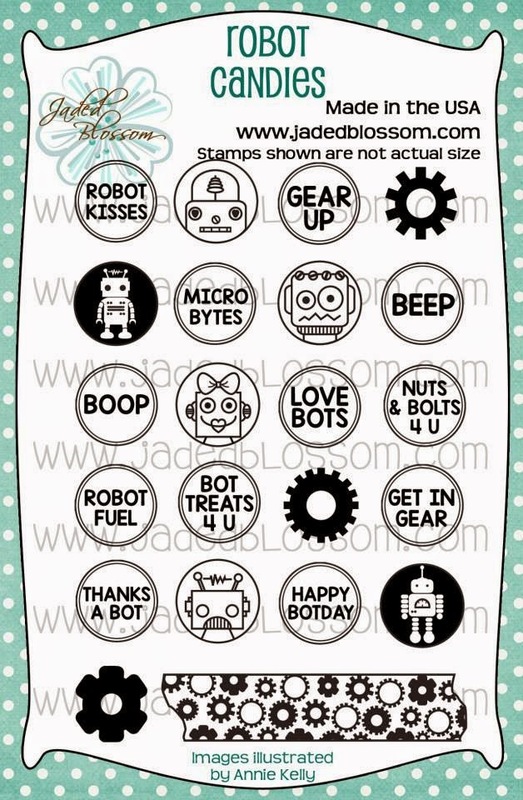 I used the Robot Candies and designer tape to decorate the cardstock. 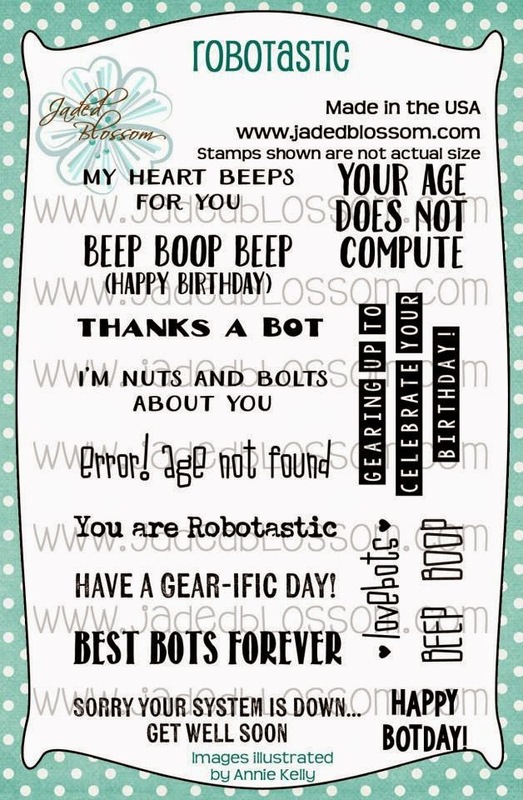 Worked perfectly, especially if you can't find robot paper in the store! 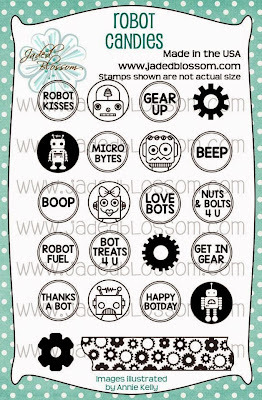 Here is a close up for the cute robot.. I added a little brown shading to him to make him look a little rustic. Here's a look at the candies! I used my new ombre ink pad to do the candies and the images on the handle bag. 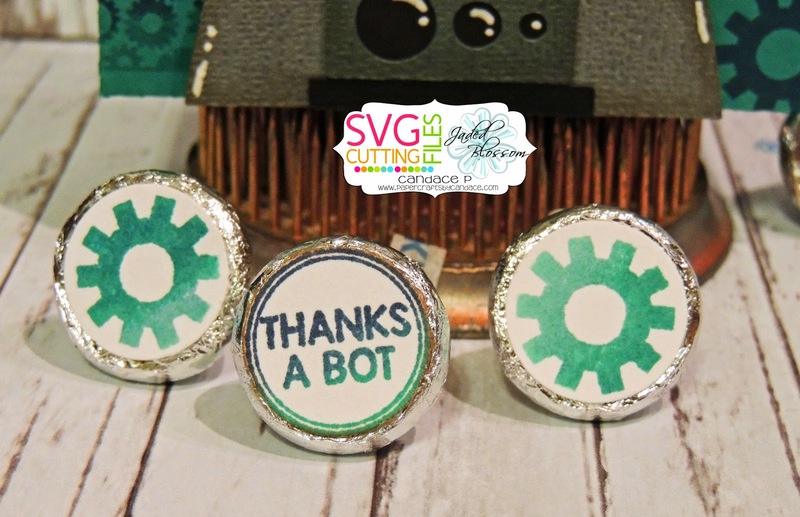 Thanks for checking out my project today! Make sure to head over to Jaded Blossom to see what the rest of the team has created! This is FABULOUS! 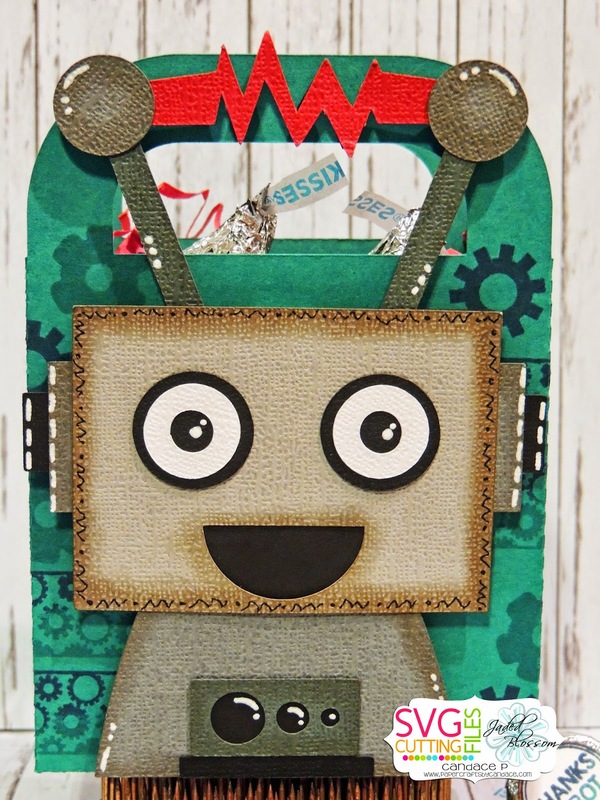 LOVE how you stamped the background on the bag and the colors are awesome! 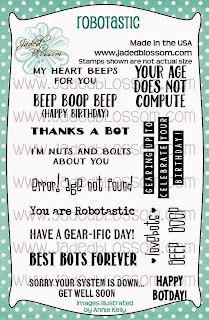 Adorable...these Robots and sentiments are FAB! I just LOVE that background on the bag! Super cute idea!